We lost a great one yesterday with the passing of Maya Angelou. But thank goodness she passed through this life and graced us with her presence. I loved turning my students onto the poetry of Ms. Angelou. 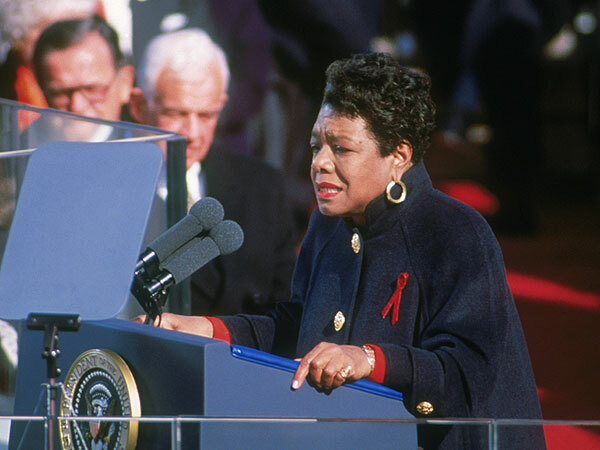 When she was called upon to write and recite a poem for Bill Clinton’s first inauguration in 1993, she had less than three months to write a poem on command for a world debut. As a writer, I can’t imagine the pressure that must have been, but Ms. Angelou did it. All she ever wanted was to be a blessing in this lifetime. She far exceed her own expectations. The poem she created for the nation, On the Pulse of Morning, is chilling in its preciseness of language, thrilling in its dramatic contrasts, and loving in its portrayal of hope for our nation. To me the final verses of the poem are the most powerful. I loved reading this aloud to teenagers who, despite themselves, could not help but be inspired by this great woman’s words. I read an interview after the inauguration where she said she was disappointed in the poem. Please rest easy, Ms. Angelou, there is no disappointment in these words of encouragement. 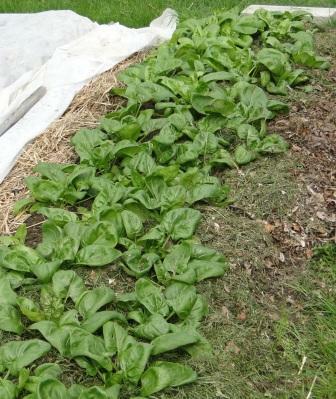 This warm and wet spring weather means lots of big leaves on the spinach plants. It also means we’ll have it longer before it goes to seed, if the heat of summer stays away for a few weeks. Robert picks the spinach after it’s been watered or after a good rain. . .after it’s had time to dry. He then puts it into dry plastic bags and stores in the refrigerator until I can find the time to start cleaning, blanching, and freezing. He actually does the washing part while I chop, blanch, and bag. The other night we managed to put up eighteen bags containing two servings each. We’ve been eating it every other day in various forms: raw in wraps and salads, sauteed briefly in olive oil, garlic, and silvered almonds, in lasagna, omelets and just plain steamed. We might get one more big picking before it’s done. 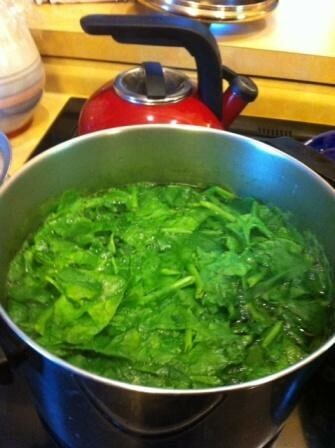 But that’s thirty-eight meals of spinach for the winter and a few more meals with fresh spinach before the season ends. Then we’ll start on the peas, which are now climbing their chicken wire fence and reaching for the sun. I’d love to hear from you on what’s going on in your garden or what you’re eating from the local farmer’s markets. Ours, filled with lots of local food grown in western Pennsylvania, are just opening for the season. Note: The blanching steps below may be followed for most vegetables with variation in the time the vegetable is in the boiling water. The recipe below preserves as much of the vitamins and taste as possible. 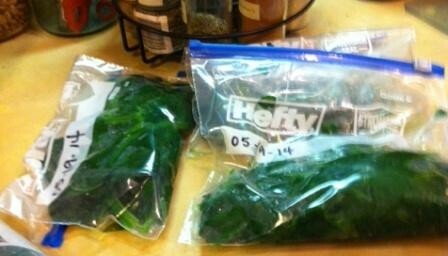 Our frozen spinach is green and tastes “almost” like we’d just picked it. The social, aesthetic, and environmental benefits of trees are numerous. They manufacture oxygen and absorb carbon dioxide. They provide shade in summer and windbreak in winter. The beauty and serenity of trees have been shown to help hospital patients recover more quickly. 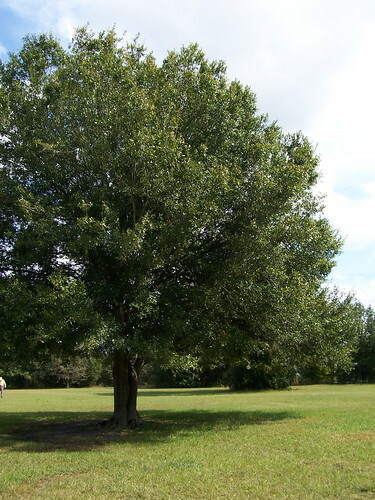 Trees reduce crime in low-income urban areas and increase property values. Trees help us save energy and improve air quality, conserve water and provide homes to wildlife. Large and majestic trees are an important part of the community. This excerpt from Civil War Journal of a Confederate Soldier – the memoir of my great grandfather – shows firsthand the horrors of war. There are no winners here at Seven Pines (Fair Oaks), Virginia. On May 31, Gen. Joseph E. Johnston attempted to overwhelm two Federal corps that appeared isolated south of the Chickahominy River. 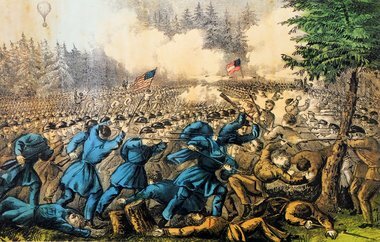 The Confederate assaults, though not well coordinated, succeeded in driving back the IV Corps and inflicting heavy casualties. Reinforcements arrived, and both sides fed more and more troops into the action. Supported by the III Corps and Sedgwick’s division of Sumner’s II Corps (that crossed the rain-swollen river on Grapevine Bridge), the Federal position was finally stabilized. Gen. Johnston was seriously wounded during the action, and command of the Confederate army devolved temporarily to Maj. Gen. G.W. Smith. On June 1, the Confederates renewed their assaults against the Federals who had brought up more reinforcements but made little headway. Both sides claimed victory. Confederate brigadier Robert H. Hatton was killed. Civil War Journal of a Union Soldier is available on Kindle and in paperback. Click on the image to visit the Amazon page. We had a real treat last night. 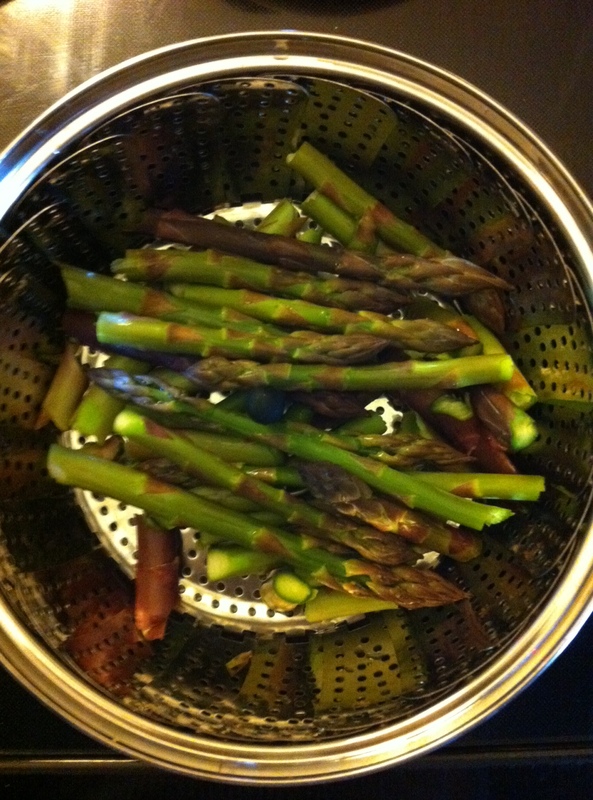 We ate the most delicious steamed asparagus–picked fresh from our garden only moments before. 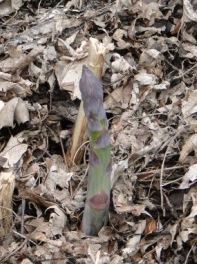 Robert planted the asparagus crowns in a bed at the end of our garden two years ago. This makes its third season and the first one for harvesting. For the best results, it’s good not to harvest until the third year. 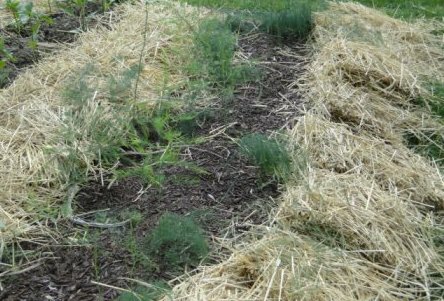 Also, be sure to plant them with forethought because asparagus is a perennial, and the same planting can last for twenty years or more without doing much but covering them with straw over the winter. Asparagus is rich in all the B vitamins, Vitamin C, calcium, and iron. It’s also chock full of anti-oxidants and provides digestive support. What’s not to love? I thought I loved everything about asparagus until I ate it the other night fresh from the garden. As with all vegetables, nothing beats a newly harvested crop. There’s none of the bitterness that sometimes comes with older asparagus. Ours actually tasted sweet. Here’s the one problem as I see it. It will produce more and more each week for about six to seven weeks. That means we need to eat it often, and I need to become proficient in finding and making different recipes. Steamed is great, but perhaps it will lose its novelty after the fifth night in a row. I’ve yet to find a good way to preserve it as I can do with the spinach about to be picked as I write this post. However, I will search for preserving techniques for asparagus and welcome suggestions from you. One of my friends told me about asparagus guacamole–I actually thought she had her “a” vegetables confused. I looked it up online, and it’s the same recipe as with avocados, except substituting asparagus that’s put through a food processor. That will probably be one of the first recipes I’ll try. 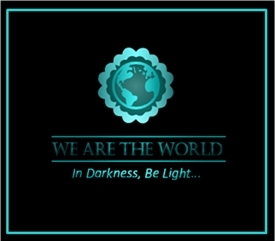 What about it? Any ideas to share about the harvesting and preparing of asparagus? This is my first season with this vegetable, and I’m a little giddy to think of having so much to eat for the next few weeks. From Seed to Table – Growing, Harvesting, Cooking, and Preserving Food provides lots of tips and recipes for vegetable gardening.